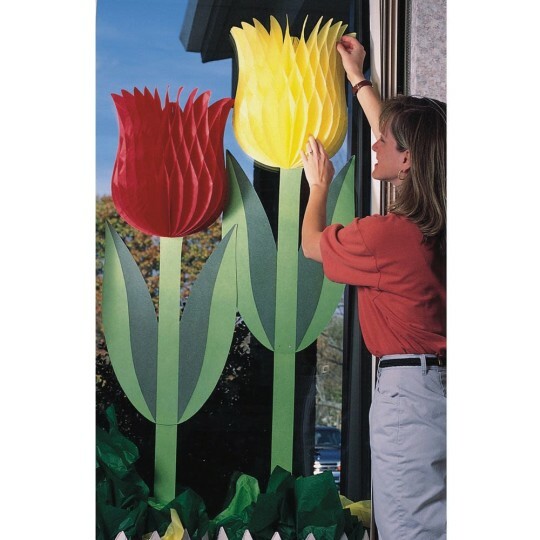 Imagine these 67”-tall tulips decorating your entranceways or recreation rooms! Set of 2 tulips, 1 red and 1 yellow, with adjustable stems will become the centerpiece of your spring decorating. Flower Power to the Extreme! We generally have the most decorated office in the county. These giant tulips not only add to our decor but have given our decorations an extra POW! Word has traveled and people come in our office just to see the tulips. This is a great product and looks terrific in our nursing home dining room! They are lovely and got lots of compliments on them but they did not hold up from year to year. Merchant response: Thank you for your review. These are consumable items and storage and care will effect their longevity!